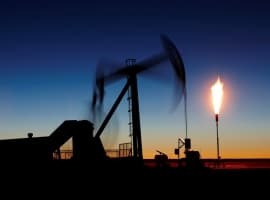 Oil prices staged a strong rally on Thursday, moving up 4% by the end of the day thanks to positive forecasts from the IEA and comments from the Saudis. Oil prices staged a strong rally on Thursday moving higher by 4.27%. WTI ended the day at $43.67 per barrel while Brent was at $46.04. 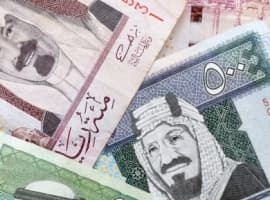 The rally was due in part to twin optimistic comments from the IEA and the Saudis. The IEA reported that crude production is falling behind demand. At this point that gap is likely to average around 1M barrels per day in Q3, says the IEA. The agency reports "Our balances show essentially no oversupply during the second half of the year." That result is thanks to a combination of sizeable production cuts by non-OPEC producers including US producers, and healthy demand in many parts of the globe. Adding to optimism, in other news, Saudi Arabia energy minister Khalid al-Falih said market forces are already doing their work, but his country is ready to do what it can to further support prices. Venezuelan President Nicolas Maduro is reportedly trying to raise prices to at least $70 a barrel. Maduro announced his plan on TV this week. That plan essentially consists of trying to encourage the Saudis to support prices and rally OPEC producers to hold a new meeting and reach an agreement to freeze production. Bloomberg reports that private equity buyout firms have raised $100B in capital and may finally be ready to put some of that dry powder to work in M&A deals in the energy space. Thus far major buyouts have been few and far between. Carl Icahn who already holds a controlling stake in CVR Energy is reportedly preparing an offer to buy oil refiner Delek Holdings. Exelon Buys Fitzpatrick Nuclear Plant, Setting The Standard for U.S. Carbon Goals: Excelon announced that it will buy the James A Fitzpatrick nuclear power plant in upstate New York from Entergy. The two companies reached an agreement worth $110 million following the state’s adoption of a Clean Energy Standard that supports nuclear energy as well as renewable energy. Entergy's solar power plant in New Orleans East is up and running: Entergy New Orleans has started generating electricity at its new solar power plant in New Orleans East, one of only a handful of solar projects nationwide to incorporate battery storage. The utility is pitching the project as a way to test the cost and reliability of using sunlight to power local homes and businesses. 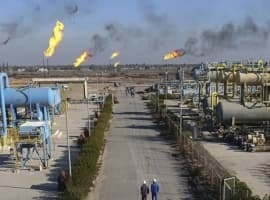 Oil majors must tap into energy storage market following Total’s Saft acquisition - Lux: Total’s acquisition of battery provider Saft has set the tone for oil majors to follow and invest in energy storage, distributed generation and solar power ventures, according to a new report from Lux Research. Tesla Is Playing Catch-Up With China’s BYD in Nearly Every Business Category: When comparing the two companies head to head, the data shows that in almost every relevant dimension, BYD has gone further and is growing faster...BYD claims to dominate the North American energy storage market and had deployed more than 295 megawatts/295 megawatt-hours across 66 countries at the end of Q2. Petrobras Q2 net profit slides 30%; debt picture improves slightly: Petrobras reported Q2 net income of 370M reals ($118M), including a 1.12B real impairment charge from the Comperj refinery project, a 30% Y/Y drop from 531M reals a year earlier. The average profit estimate of eight analysts surveyed by Reuters was 1.81B reals. The firm’s Q2 revenue fell 11% Y/Y to 71.3B reals due in part to weak fuel demand from Brazil's severe recession and lower global oil prices. Total debt improved slightly for the firm, ending the quarter at $123.9B. That is down 2% versus year-end 2015 levels. Refiners on track to spend record on U.S. clean fuel standards: Reuters is reporting that major U.S. refiners will pay record amounts this year for credits to comply with U.S. renewable fuel standards. The new fee expenses come even as profits for the group remain in a slump thanks to weak crack spreads. A group of 10 refinery owners including Marathon Petroleum and Valero Energy spent at least $1.1B buying RINs, according to a Reuters review of their filings. That puts the group on pace to surpass the annual record of $1.3B spent by the same group in 2013. TETRA Tech started at Overweight by Morgan Stanley: Morgan Stanley initiated coverage on offshore services firm TETRA Technologies is initiated with an Overweight rating and a $10 price target at Morgan Stanley. The banks says the shares do not reflect the company’s longer-term free cash flow generation potential and the cyclical upside from onshore and short-cycle offshore exposure. The offshore industry likely will remain sluggish through 2017, but TTI’s short-cycle offshore exposure is “a good way to play an out-of-consensus theme,” MS says. It's too bad that bad storm happened earlier this year that pretty much stopped 1/3 of the USA from driving for a few days. If that didn't happen, gasoline stocks would be almost 10M less than they are right now. Lots of theories going around that "driving" season in the USA is actually going to be when everyone gets back to work. More and more people drive less these days when on VA than when they have to go to work.